I realized something a good while ago: I bake when I’m happy, and I bake when I’m sad. Preheat the oven to 190°C/375°F. Butter well twelve 1/3-cup (80ml) capacity muffin pans. Place the butter, ground almonds, egg whites, lemon zest and juice, icing sugar and flour in a large bowl and stir just until combined. Equally divide the batter among prepared pans – they should be just over ½ full. Bake for 25 minutes or until golden and risen and a skewer inserted in the center comes out clean. I love financiers/friands! Yours looks so pretty and golden. Thanks for sharing. Cute and wonderful looking financiers.. I learn so much from you. I've never even heard of a financier. Well those women are soo lucky! You remember me, i also bake when i am happy, sad, or when i feel like someone needs a treat, i always want to bake and i am the baker of the familly, if someone needs a cake or something, i am the first one proposing myself! I love lemons, too. I wonder why these are called financiers? I've never thought about my mood when I bake. I just enjoy it so much because I focus on nothing but the process. It's like a meditation. Happy weekend. Looks so tasty and yummy. I love anything with lemons in it and have to try your recipe. I've always wanted to try financiers! Lemon is such a wonderful flavor and helps make everything brighter and yummier. I'm sure these are a delight! These, like all your posts are so pretty! I love all the polka dots, and that pink bowl. Where do you find all the beautiful bowls and servers? Pam, you are too sweet, my dear! Lucy, I am so glad to hear you liked the recipe! Thank you for letting me know how it turned out! Valerie, you are far too kind, sweetie! Thank you! 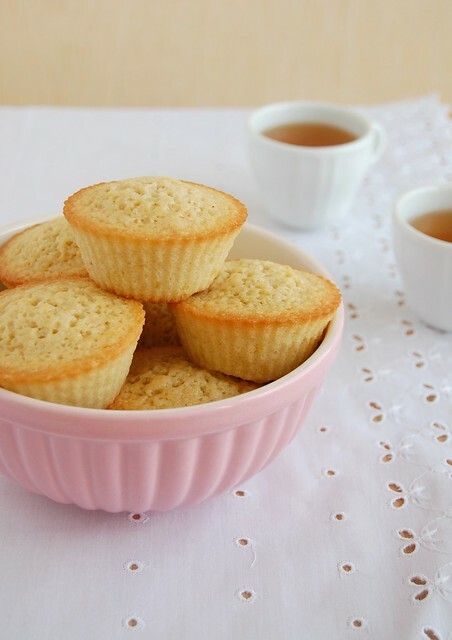 Xiaolu, I am sure your financiers will be amazing, sweetie!